Last night, the Massachusetts Senate voted to again extend greyhound simulcasting, a practice that allows local gamblers to bet on dog races from other states. This action follows a similar vote in the state House of Representatives. As a result, it is a near certainty that tens of millions of dollars will continue to be bet every year on dog racing in Massachusetts, even though citizens overwhelmingly voted to outlaw this activity in 2008. Our ballot question was clear, and prohibited "any form of betting or wagering on the speed or ability of dogs." At the same time, Senate leadership a rejected a proposal by eight lawmakers to finally end greyhound simulcasting and respect the will of the voters. We are very grateful for the courage of Senator Pat Jehlen, who was joined by Senators Jason Lewis, James Eldridge, William Brownsberger, Robert Hedlund, Ken Donnelly, Michael Barrett and Cynthia Creem. 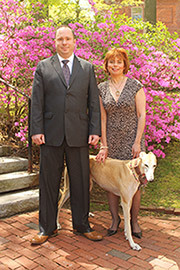 These lawmakers gave the greyhounds a voice, and deserve our thanks. But in the end, the same Beacon Hill politicians who made a backroom deal on greyhound simulcasting in 2009 failed the voters again. They sided with racetrack owners and lobbyists, and their failure in leadership will have real consequences. 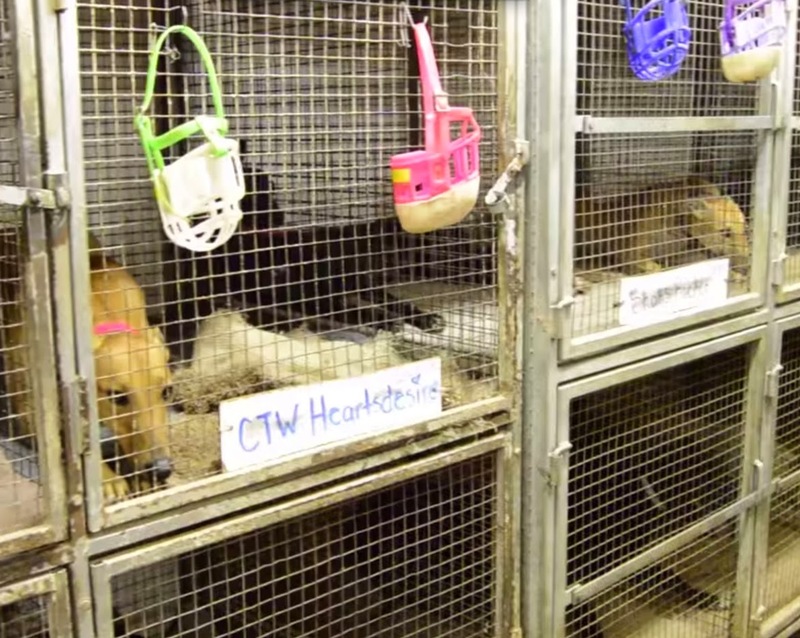 For example, in Florida a racing greyhound is dying every three days. There are a dozen operational tracks in the Sunshine State, and those tracks remain open in part because gamblers from other states, including Massachusetts, are betting remotely on the races. 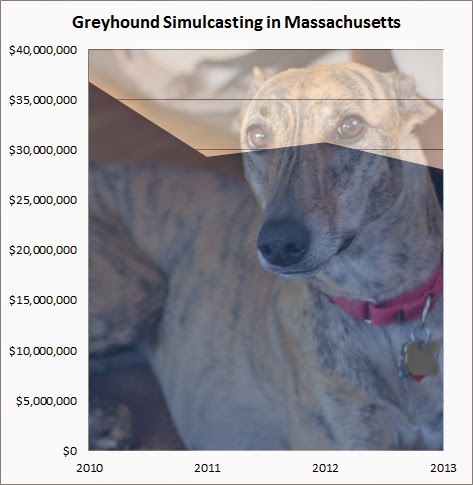 More than $28 million was bet last year on greyhound simulcasting in Massachusetts, although the activity is dying. In just four years, the amount bet on greyhound simulcasting has declined by 24%, and is at its lowest level in decades. Thankfully, an effort is now underway to place a question before voters that will finally outlaw greyhound simulcasting in Massachusetts. The measure will also keep casino gambling out of the state, and is being led by a grassroots coalition named Repeal the Casino Deal. We are supporting this campaign, and are hopeful it will succeed. Although we have no position on casino gambling, their ballot question will now become one of our top national priorities because it also addresses greyhound simulcasting. We will work hard for its passage, and will reach out to other animal protection groups and ask them to also support this important proposal. Enough is enough. If Massachusetts voters have to speak again on this issue, then so be it. We are confident they will side with the dogs, and finally end all state support for greyhound cruelty. It can't always be about money, people! Lives are more important. If gambling is your thing, play poker or visit casinos. Betting on the death sentences imposed by racing is cruel and disgusting. Animal exploitation is NEVER a good thing. Thank you to the brave senators who stood up for animals and thank you to the citizens of Mass., too bad no one is listening! AAAARGGGH! All that work back in 2008 by the hardworking volunteers to shut down the 2 remaining tracks and the overwhelming voter support for this and the banning of all greyhound racing in the state of Massachusetts has apparently gone on deaf ears as the lawmakers and thier backroom buddies just PLAIN DON'T CARE! Congrats to all the lawmakers who stood up for the greys and this cruel practice for having the courage to stand FOR the people and not for the lobbyists! Please support these brave lawmakers and shut down greyhound racing and all its forms for good and make the will of the people heard!